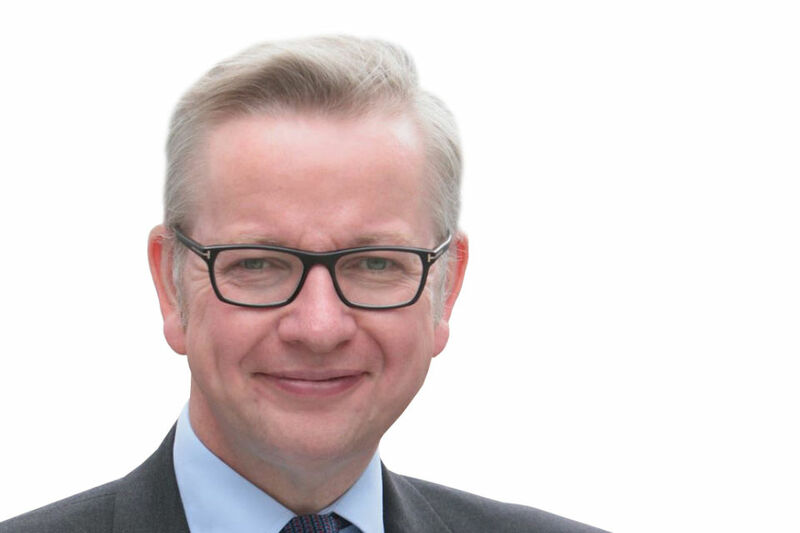 Education Secretary Michael Gove's written ministerial statement on the schools financial settlement with regard to education spending. Today I am announcing local authority allocations for their Dedicated Schools Grant (DSG) and capital for 2011-12 and for the Early Intervention Grant in 2011-12 and 2012-13. I can confirm that, as proposed in our consultation, we will continue with the current distribution method for funding local authorities. As signalled in the consultation, we are simplifying the funding system by mainstreaming relevant grants into the DSG on the same per-pupil distribution as this year. 2011-12 Guaranteed Units of Funding (GUFs) are therefore the sum of 2010-11 GUFs and the per-pupil grant allocations. This means that at local authority, level allocations for school funding are flat cash per pupil for 2011-12. To protect those local authorities that have falling pupil numbers, I have put in place arrangements so that no authority will lose more than 2 per cent of its budget in cash terms compared with 2010-11. Following this announcement, local authorities will now be able to work with their schools forums to produce 2011-12 budgets for their maintained schools. This will include resources from grants mainstreamed into DSG. Local authorities will be required to take account of the previous level of these grants in constructing their settlement for schools. This is to prevent turbulence for those schools who have previously received funding through grants that we are mainstreaming. Although the overall schools budget before the addition of the pupil premium will stay at the same level per pupil, the actual level of budget for each individual school will vary. It will depend on local decisions about how best to meet needs. This does mean that some individual schools may see cash cuts in their budgets; either because they have fewer pupils or because changes are made within local authorities to the distribution of funding. I have, therefore, decided to apply a national protection arrangement for schools - the minimum funding guarantee - and have set it so that no school will see a reduction compared with its 2010-11 budget (excluding sixth form funding) of more than 1.5 per cent per pupil before the pupil premium is applied. The guarantee applies to a school’s overall 2010-11 budget including grants that have been mainstreamed into DSG. The capital settlement for my department was extremely tight, with a 60 per cent reduction in 2014-15 compared to the historic high of 2010-11. I know that there are schools in need of refurbishment which have missed out from previous Government capital programmes, and who feel they have therefore been treated unfairly. I will continue to invest in the school estate. Indeed we are investing £15.8 billion of capital over the Spending Review period, and the average annual capital budget over the period will be higher than the average annual capital budget in the 1997-98 to 2004-05 period. However, over the next few years our priority is to reduce this country’s budget deficit. This is essential, as the amount we are currently spending on debt interest payments could be used to rebuild or refurbish ten schools every day. However, I realise that in the short term it will be difficult for schools to adjust to reduced capital funding. The recommendations from the Sebastian James review of DfE’s capital programmes will inform the allocation of capital from 2012-13. But schools and local authorities need information now on capital for 2011-12 so that they can begin to plan. I am today announcing the allocation of £2137m1 of capital funding for schools in 2011-12. There are two particular pressures we face which have informed how I have allocated this funding. First, I have inherited substantial forward commitments for the Building Schools for the Future, Academy and myplace projects which I did not stop in July. Energetic efforts are being made by local authorities, contractors and others to reduce the cost of these projects, but I expect the cost of these commitments to remain significant over the Spending Review period. If the Building Schools for the Future programme had not been stopped there would have been no additional funding for schools outside that programme or for urgently needed primary school places. Second, there are significant pressures for additional school places, particularly at primary age, in many areas of the country because of rising birth rates and changed migration patterns. In 2011-12, £800m will be available to local authorities to address the need to provide additional school places. I have doubled the amount to be spent on what is called basic need from the levels spent by the previous Government. I recognise that this issue needs to be addressed and I am supporting local areas to do so. Even where funding is tight, it is essential that buildings and equipment are properly maintained, to ensure that health and safety standards are met, and to prevent a backlog of decay building up which is very expensive to address. Therefore, in 2011-12, £1337m will be available for capital maintenance for schools2, with over 1bn being allocated for local areas to prioritise according to maintenance need. The voluntary-aided sector will receive its fair share of this as I have decided to retain the Locally Coordinated VA Programme for a further year. In addition, £195m will be allocated directly to schools3 for their own use. This is a much lower rate than previously. The Audit Commission criticised the allocation of large amounts of funding to schools that was not targeted to building need. Therefore, in view of the need to prioritise, I have balanced the bulk of maintenance funding to local authorities, to support local prioritisation and larger projects, with coordinated and efficient procurement. Details of the allocations of basic need and maintenance funding to each authority, and indicative amounts of the capital allocations for their schools, are being sent to local authorities today and published on the website. I shall also make copies available in the parliamentary libraries. I know that for longer term planning, local authorities would welcome further security on their capital funding from 2012-13. As I have said, the capital review will inform funding from 2012-13. However, whilst the methodology of allocation and management of the capital funding may change, I can confirm that the headline annual amounts of funding for basic need and for maintenance will for 2012-13 until 2014-15 be in line with the amounts I have announced today for 2011-12. In challenging times the Government is freeing local authorities to focus on essential frontline services, and to invest in early intervention and prevention to produce long-term savings and better results for children, young people and families. A key element of this approach is the creation of a new Early Intervention Grant for local authorities in England, worth £2212m in 2011-12 and £2297m in 2012-13. It replaces a number of former funding streams, which are listed in a note on my department’s website. In a tight funding settlement, some reduction in central government support was inevitable. In 2011-12, the amount to be allocated through EIG is 10.9 per cent lower than the aggregated 2010-11 funding through the predecessor grants. The new grant will however provide a substantial funding stream, with new flexibility to enable local authorities to act more strategically and target investment early, where it will have the greatest impact. Universal, as well as specialist, services have an important role to play in identifying and supporting families who need extra help before problems escalate, and helping them get more intensive support if needed. Our schools, health services, police and other services should all be concerned to spot and support the most vulnerable families early. There are great examples of effective partnerships which already do this across the country. I want to draw attention to two important aspects of the new grant. The first is the Government’s commitment to trusting professionals and creating local flexibility. Greater freedom at local level, to pool and align funding, will help local authorities and their partners achieve better results. That is why we have scrapped top-down performance management, and why we are reducing radically the number of ring-fenced grants. The Spending Review signalled a power shift between central and local government - ensuring local communities have a greater say in the issues that affect them. The EIG is not ring-fenced, giving local authorities the flexibility to respond to local needs and drive reform, while supporting a focus on early intervention across the age range. a. Sure Start children’s centres. There is enough money in the EIG to maintain the existing network of Sure Start Children’s Centres, accessible to all but identifying and supporting families in greatest need. Local authorities continue to have duties under the Childcare Act 2006 to consult before opening, closing or significantly changing children’s centres and to secure sufficient provision to meet local need and Together for Children will be ready to assist LAs in making plans to keep centres open. Important new investment through Department of Health budgets to provide 4200 extra health visitors, working alongside outreach and family support workers, will enable stronger links with local health services. b. Two-year-olds. Evidence shows that early education is particularly beneficial for the most disadvantaged, for whom gaps in attainment start to appear as early as 22 months. We want to make sure that the poorest two-year-olds are given the best start, and subject to Parliamentary approval, have committed to extending free early education with an entitlement for disadvantaged two-year-olds from 2013, funded by an additional £300 million a year by 2014-15. £64m and £223m will be available through the EIG over the next two years so that authorities can build capacity and quality. Local authorities must still have regard to their statutory duties under the Childcare Act 2006 to provide information, training and advice to all providers of early education; quality matters and a highly skilled workforce is critical if we are to have a positive impact on social mobility. c. Short breaks for disabled children. Providing respite to the most vulnerable families improves their outcomes and reduces the cost of care. That is why we have included within the EIG £198m/£202m, at the same time as investing directly in the voluntary and community organisations that support this work. The Early Intervention Grant is of course not limited to these areas. The grant underpins creative local approaches to local priorities, across the whole field of services for children, young people and families. Most Department for Education funding for services for young people will flow through EIG. As we maintain the commitment to raise the participation age to 18 by 2015, the grant will help local authorities to support vulnerable young people to engage in education and training, intervening early with those who are at risk of disengagement. This could include preventing young people from taking part in risky behaviour, like crime, substance misuse or teenage pregnancy, supporting young people at risk of mental health problems, and helping young people who have a learning difficulty or disability to participate and achieve. The grant will support transitional arrangements to ensure that young people have access to impartial careers guidance in advance of the all-age careers service being fully operational. EIG also provides an opportunity for local areas to pursue greater coherence of local services for families with complex needs who face the poorest outcomes and pose the greatest cost to local services. Local authorities will want to consider using EIG funds to support local action in support of the national campaign to improve outcomes for families with multiple and complex problems and reduce costs to welfare and public services. We look forward to Graham Allen’s report on early intervention, which will identify best practice and suggest ways to make it more widespread, including through new funding mechanisms. We recognise that making the transition from the old grant regime, and investing in early intervention at a time when budgets are under pressure, will be demanding. We want to work in partnership with local government to make the case for investment in these vital areas of early intervention. To that end, we will continue to work with the sector, including organisations like C4EO, to develop and disseminate the evidence base. We will promote transparency by working with the sector to measure the key outcomes and incentivise reform and effectiveness through payment of local authorities and providers by results, working with a number of authorities to develop a fair and effective methodology. I am writing to local authority chief executives, directors of children’s services, headteachers and chairs of governing bodies with details of this announcement. Copies of these letters with details of individual school and local authority allocations have been placed in libraries of both houses. This Government’s decision to prioritise and protect frontline spending on schools and to target local authority spending on vulnerable and deprived children, young people and families has meant that we have had to make some hard choices. As part of the local government announcement, we have confirmed that we are ending a number of education-related area-based and specific grants. The ending of these grants does not mean that we do not see a future role for local authorities in relation to schools. The White Paper, ‘The Importance of Teaching’ - which I recently published - makes clear that local authorities continue to have an important strategic role to play. Local authorities will need to prioritise services and look at opportunities for delivering services more cost effectively including through working in conjunction with other local authorities. In other areas, although the current grants are ending, we do expect to continue to provide funding. The White Paper made clear that we are committed to improving music education. Darren Henley is currently conducting a review of music and we will make announcements about future music funding in the light of recommendations which arise from the review. We want all families to be able to choose the right school for their child. We are therefore reviewing home-to-school transport so that we can better meet the needs of not only disadvantaged families, but all families, ensuring transport is properly targeted to those that need it most. In relation to the grant, which supports extended rights for free home-to-school travel, we will be announcing transition funding in the new year to enable local authorities to continue to deliver their duty in this area for the rest of this academic year, pending the outcome of the review. This includes all taxpayer-funded schools, including in the VA sector, academies, city technology colleges and non-maintained special schools. The figure for local authority and voluntary-aided schools is £2039m. This includes all taxpayer funded schools, including in the VA sector, academies, city technology colleges and non-maintained special schools. The figure for local authority schools is £858m and for voluntary-aided schools, £196m. Local authority maintenance allocations also include funding for maintenance of Sure Start children’s centers. This includes all taxpayer-funded schools, including in the VA sector and academies. The figure for local authority and voluntary-aided schools is £185m.